2016 U.S. 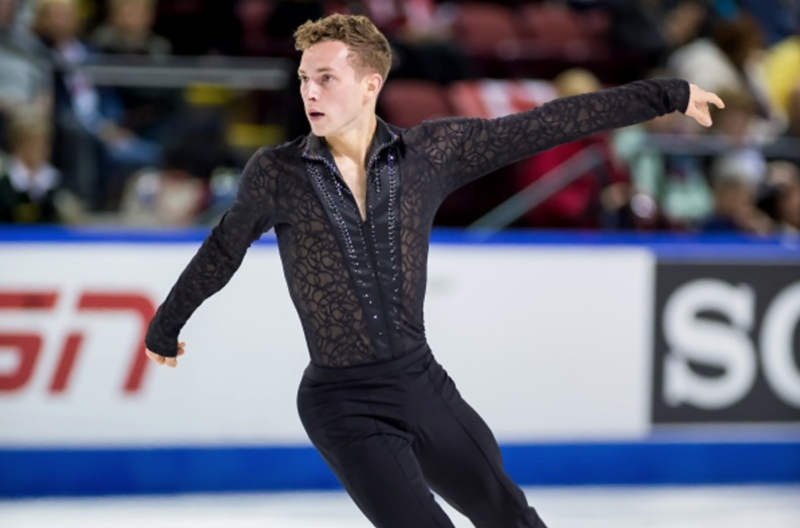 Figure Skating Men’s Champion Adam Rippon has qualified for a spot on the American Winter Olympics figure skating team. But Rippon also received another honor: He has become the very first openly gay man representing the United States for an Olympics game in any sport. (Only seven out athletes participated in the 2014 Sochi Games, and they were all female non-Americans.) 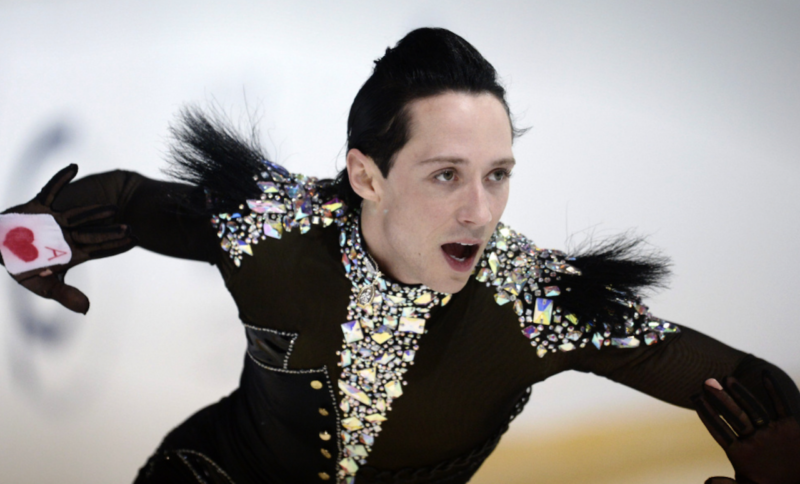 Yes — he will be the first of all openly gay figure skaters to compete in the Winter Olympics! Along with Nathan Chen and Vincent Zhou, he will compete next month against the world’s top male skaters in Pyeongchang, South Korea. In a sport where artistry is as vital as athleticism, it’s still surprising to us that Rippon made headlines this week not because of his abilities but as a proud gay man in his field. Several world-class male figure skaters did eventually come out later to the public, but only after they won major competitions like the Olympics. Reasons why these athletes stayed in the closet? The conservative culture of figure skating plays a considerable part, even though the sport has long been deemed very gay itself. Billed as a “family-friendly” sports event, figure skating’s governing body, the International Skating Federation, fights hard to preserve this image. With a large female audience, the federation has a tight reign over how athletes should conduct themselves on and off the ice. The judges also make it hard for gay figure skaters to come out. These judges — typically older and conservative — play a huge part in advancing a skater’s career. So skaters need to present a wholesome image to these old-school judges to win major competitions. Rippon’s openness about his sexuality is a step in the right direction for the sport. He is telling future LGBTQ athletes that it is OK to be your authentic self and still achieve your dream through dedication and hard work. Rippon may be the first out American athlete competing in this year’s Winter Olympics Game, but we’d like to take this opportunity to salute other world-class gay skaters — past and present Olympians, plus world and national titleholders. They may not have come out publicly at the height of their skating careers, but their openness has since paved the way and made the coming out process more comfortable for all gay figure skaters. 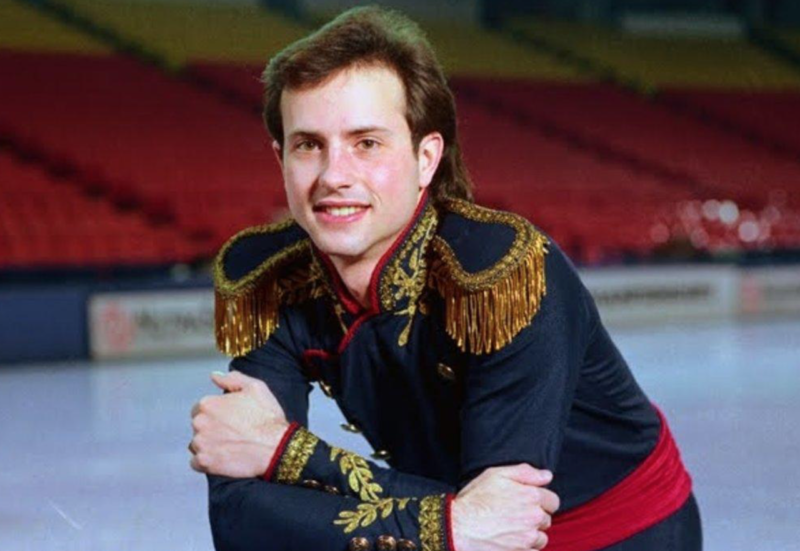 Despite winning a gold medal in the 1988 Calgary Winter Olympics and two world titles, Boitano kept his personal life away from the public for a long time. After the United States named its skating delegation to the 2014 Winter Olympics, Boitano finally came out to support LGBTQ activism against those Sochi games and the Russian anti-gay “propaganda” law that was passed in 2013. A two-time Canadian champion, Buttle also won a bronze medal in the 2006 Turin Winter Olympics. 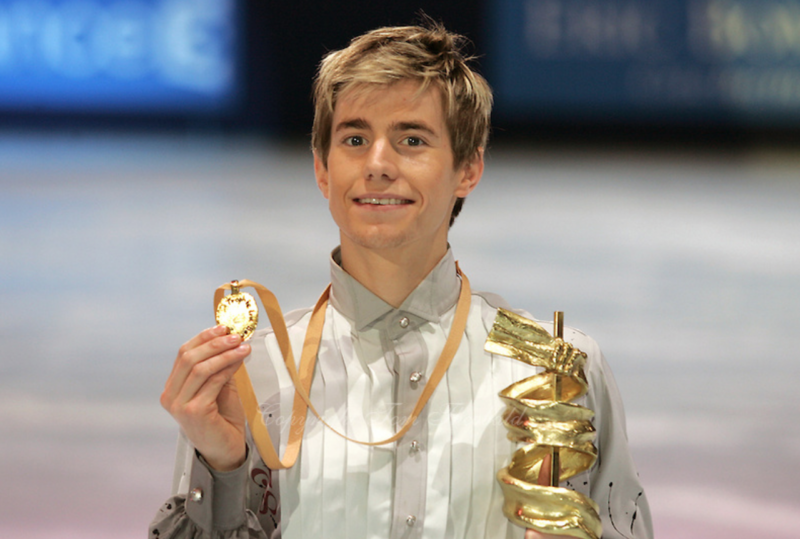 He retired from competitions in 2008, though he stayed active in the skating community, and he married his longtime partner, Justin Harris, in February 2014. Buttle currently plays ice hockey for a team in the Toronto Gay Hockey Association. The most decorated British skater, Cousins won the 1980 Winter Olympics in Lake Placid. He also earned three world medals during his competitive days. An expressive athlete who was also an excellent jumper, Cousins deftly combined artistry and athleticism. He married his longtime partner in late 2000 and is one of our openly gay figure skaters who still occasionally performs for the public. Galindo is a trailblazer of figure skating. Outspoken and fearless, he came out publicly around 1996 and won his first U.S. title that same year. Galindo became the first out athlete to win a national championship, and he placed third in the 1996 world championship. But Galindo never had the opportunity to represent his country by competing in the Olympics. In 2000, Galindo announced he was HIV-positive and became an activist fighting against stigma. Garder, a U.S. paired skater with Tai Babilonia, won the 1979 World Figure Skating Championships. He also won five U.S. Figure Skating Championships (1976–1980), and the pair qualified for the 1976 and 1980 Winter Olympics. Gardner briefly dated another skater during the ’70s, but his primary focus was always training for competition, so he hid his sexuality. It was also tricky for Gardner to come out after his competition years. He was afraid he would lose his career of family-friendly shows like the Ice Capades. If Middle America had an issue with the openly gay skater — and stopped buying tickets — he would have had no career, Gardner has told Outsports. Gardner came out in 2006, and now he is a proud, out spokesperson who continues to encourage others to live authentically. Goebel won a bronze medal at the 2002 Olympics in Salt Lake City. He was also the first American to land a quadruple salchow jump in competition, and the first person to land three quadruple jumps in one program. With his wholesome all-American image, he revolutionized the sport and made quadruple jumps a mandatory requirement in men’s figure skating. Goebel retired from competition in 2006 and married his longtime partner in 2017. Orser won back-to-back silver medals at two Winter Olympics in the ’80s. Famous for his artistic interpretation in programs, Orser is now a prominent figure skating coach and led both Kim Yuna (2010) and reigning men’s Olympics champion Yuzuru Hanyu (2014) to Olympic gold. 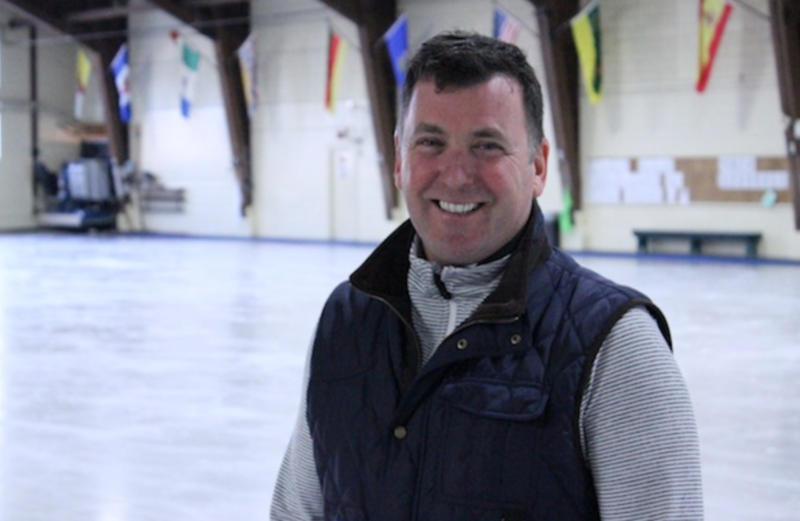 A one-time coach to Adam Rippon, Orser is openly gay. He was forced to reveal his sexuality in November 1998 when he lost a legal battle preventing public disclosure when an ex-partner sued him for palimony. 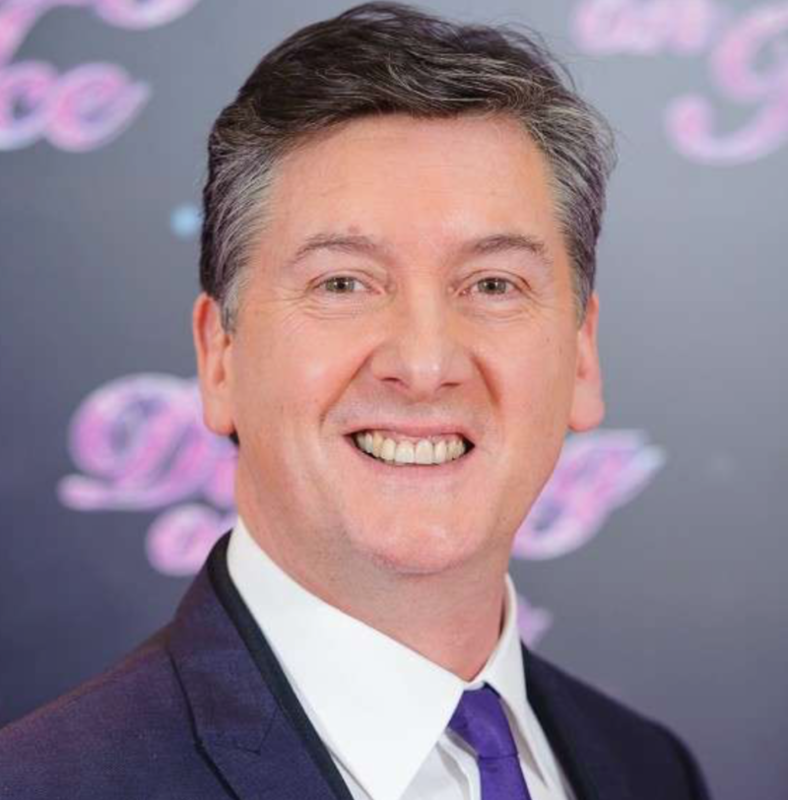 Orser initially feared the revelation of being gay would ruin his career, but he has since embraced support from other gay figure skaters and the public. 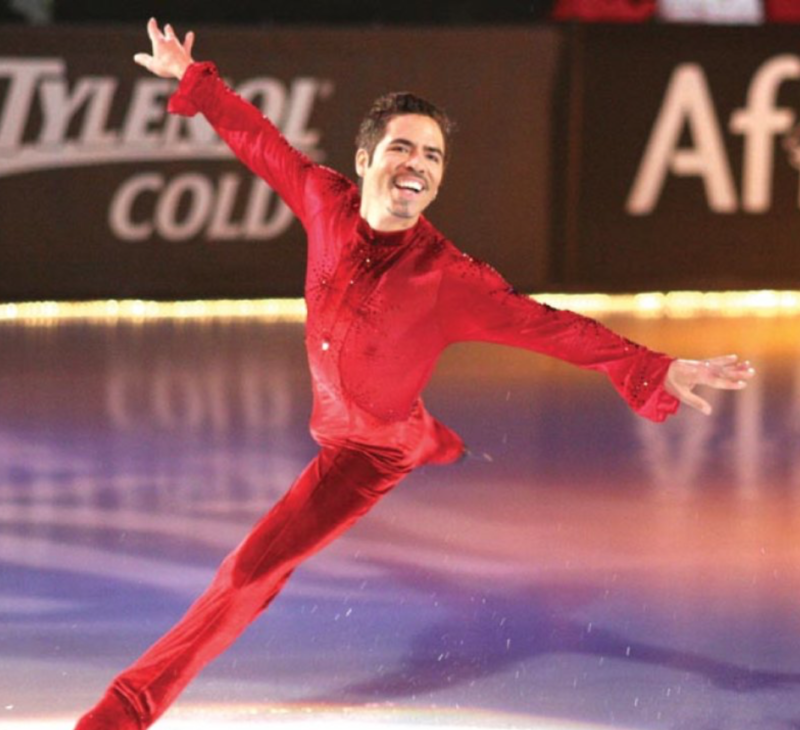 Radford’s and Duhamel’s gold medal win in 2015 was significant in that it made him the first openly gay figure skater ever to win a medal at a world competition. He is now an ambassador for the Canadian Olympic Committee’s #OneTeam program, focused on combatting homophobia in sports. Weir is now an on-air commentator for major skating competitions. He also works on several charity projects focusing on LGBTQ causes. In 2010, Weir collaborated with Traver Rains (formerly of Heatherette) to raise money for The Trevor Project. In 2013 the Delaware Valley Legacy Fund established the Johnny & Victor Weir-Voronov Scholarship Fund for LGBTQ Youth.